If you would like any more information about donating in your will please contact us. When thinking about the future and writing a Will, we often want to make sure our family will be cared for, after we’ve gone. Many supporters like you also want to make a difference to less fortunate families. From the 10th – 16th September 2018, Family Action are proud to be part of Remember a Charity week. 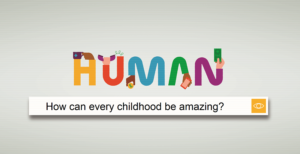 This week we are joining 200 other charities to launch Human – the world’s first charity-powered search engine. Like Google, Human enables people to search for answers to big questions facing humanity. Unlike Google, Human brings these answers to life, showing short videos from real people supported by charities, volunteers and supporters. We’ve selected three big questions most important to Family Action’s work, including How do we stop poverty damaging children’s futures? You can see our answer to this question, along with other questions here. Throughout this Remember a Charity week, we will be focusing on our heritage and the impact gifts in Wills can make through our Our Voices blog. Family Action relies on voluntary donations to fund some of our most innovative work. Over the past 149 years, families have changed a lot. However for those most vulnerable families, many challenges they face, such as social isolation, poverty and mental ill health persist. That’s why Family Action have been working hard to continually innovate to meet the changing needs of modern families. If you leave a gift in your Will to Family Action, you will ensure that for generations to come, families facing disadvantage will get the support they need. Read more about Family Action’s long history here. A Will may be one of the most important documents you ever write. It enables you to decide what happens to your money and possessions once you are gone. It means you can provide for your family and those close to you. Once you’ve taken care of your family and friends, please consider leaving a gift to Family Action, and have your legacy live on. Your solicitor or professional will writer can help you include such a gift in your Will ensuring your wishes are followed. If you would like to find out more please contact us on fundraising@family-action.org.uk or call on 020 7241 7638.